Timing is very important, a few months ago they were worth a fortune, but demand has gone away with the warmer weather. We have a few Connecticut who may have an interest them. Take a look at the member map and send a PM (Personal Message) to members who live near you. @Patrick M we need more pictures of what you have in order to try to put a value on them. And maybe more information, like how wide is that dozer blade, snow thrower. Then you can list them in the Classifieds for sale thread. I would dare say scrap value may bring you $20 bucks plus all your work getting there, minus $10 bucks for gas you may have enough left over for a sandwich. Shoot some pics and list them here in the classified section. 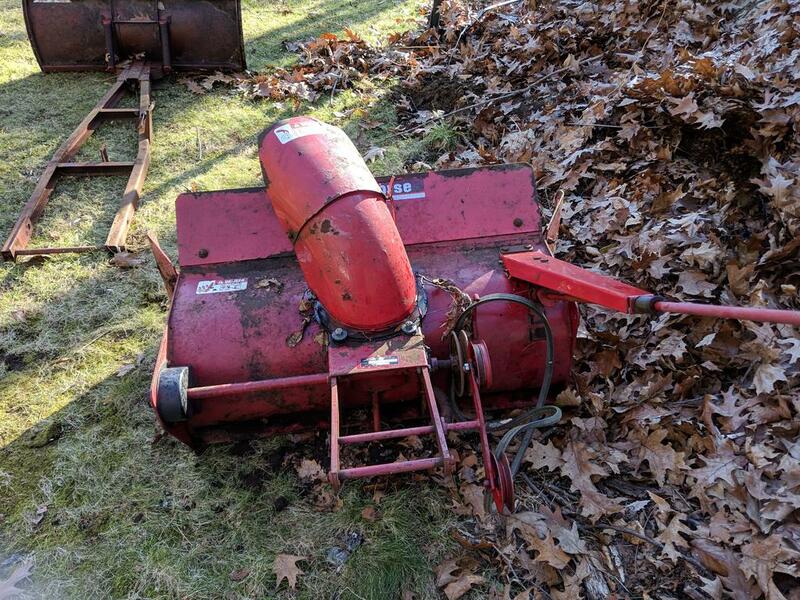 If the snow thrower spins and is in decent condition $75 to $100 is fair, you may consider a lesser offer if you want it gone. The dozer blade appears to be missing the handle and without the axle bracket I would say $40 to $60 is a good start. A good 42" deck will fetch $75 to $125.00. These are just ballpark prices. Good luck.